More recently, developers have released an update where cartographers were added. 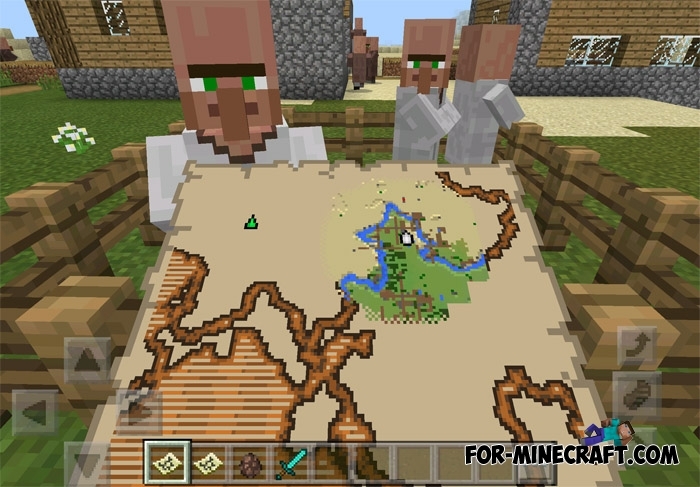 This is a special type of villagers who can sell you a treasure map, with which any player can find a unique structure and possibly treasure. Such structures are not safe, different dangerous mobs always live inside so if you are going to visit such places, then do not forget weapons and armor. 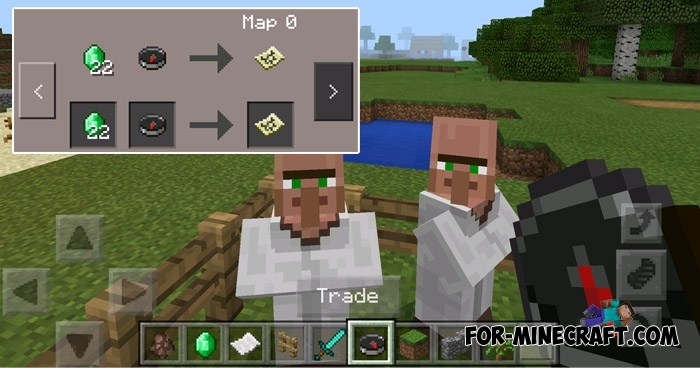 Soon you will understand that the maps are similar and in order to diversify this feature, you can download the New Treasure Maps addon for Minecraft PE. It adds 5 treasure maps designed to search for lost structures. Having found one of them, you need to get inside and find a treasure that can be hidden in one of the rooms or corridors. New maps differ from the original ones, but they are very simple and after a few minutes of running you will reach the goal. Oh yes, to get new treasure maps, you need to find a cartographer and offer him an exchange. Then you will receive the map and be able to search for treasure.